Eric Dane and Rebecca Gayheart Shop With Their Girls! 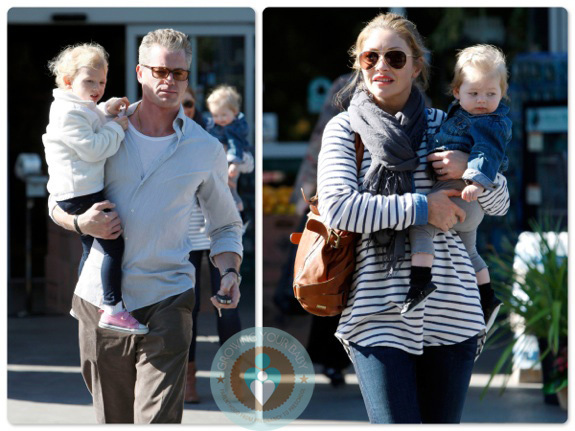 Home » Eric Dane and Rebecca Gayheart Shop With Their Girls! Eric Dane and his wife Rebecca Gayheart were spotted out shopping at Bristol Farms in Los Angeles with their daughters Billie and Georgia. The couple each carried a girl while making their way to the car. Hilary Duff Steps Out With Luca! Fisher-Price Launches Celebrate & Save!